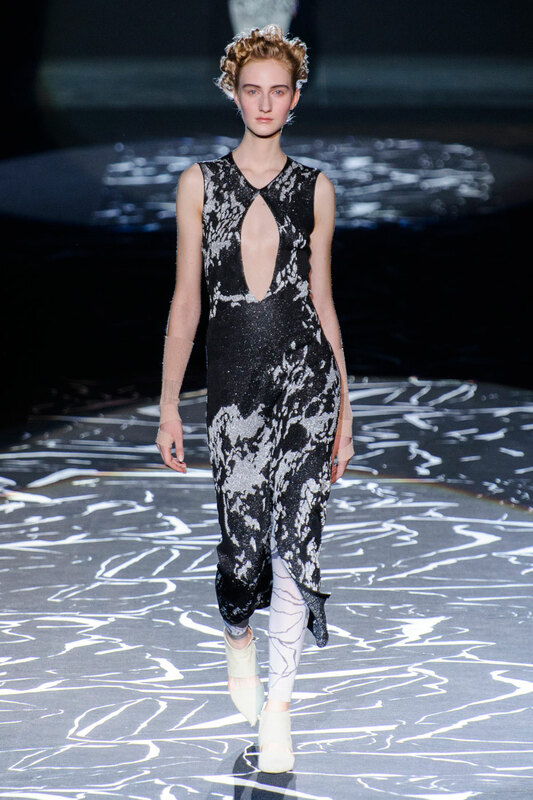 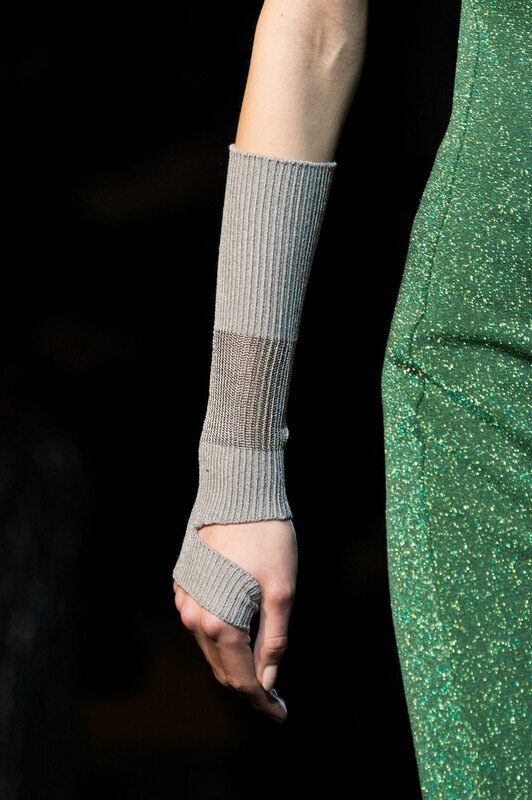 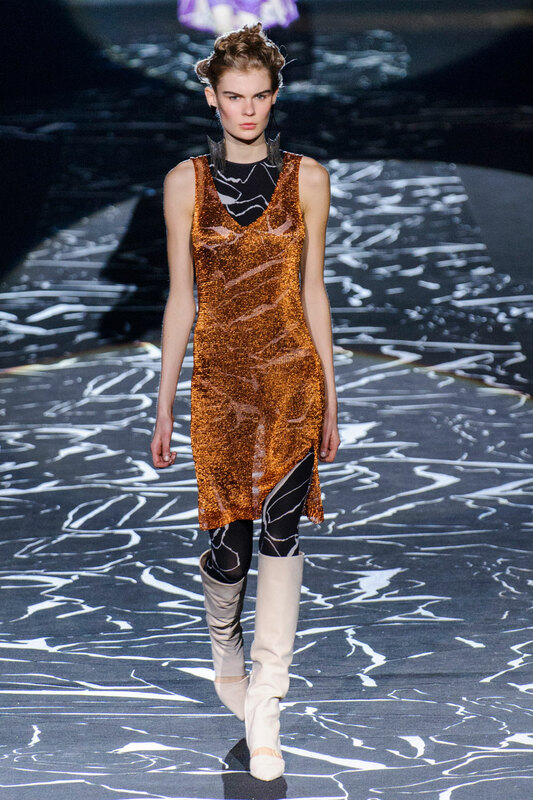 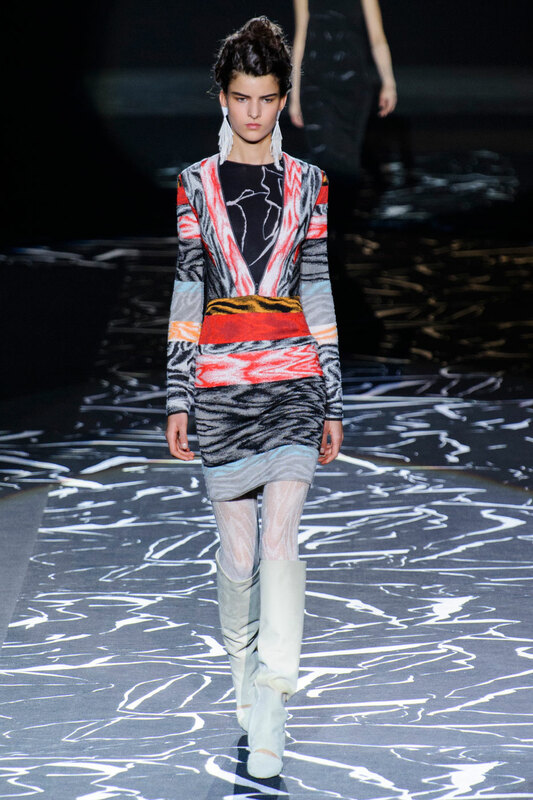 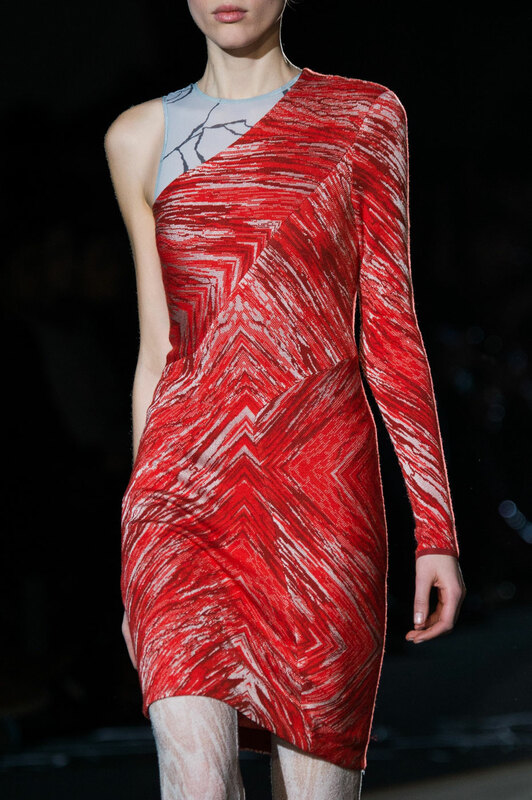 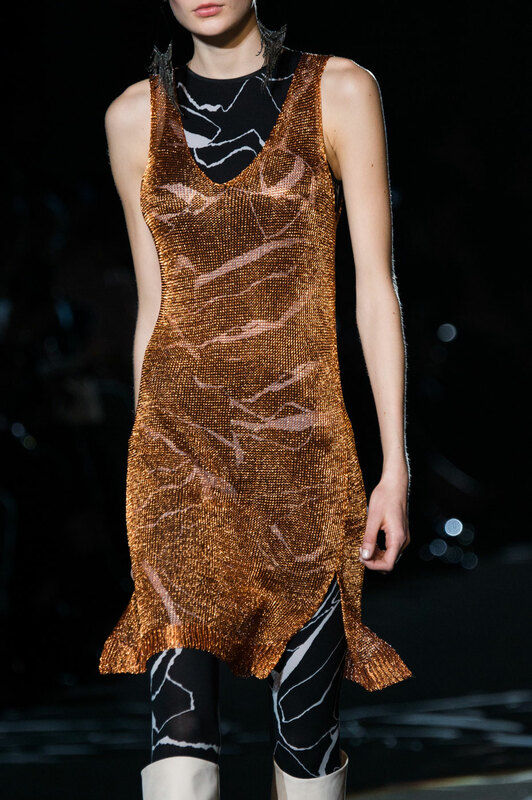 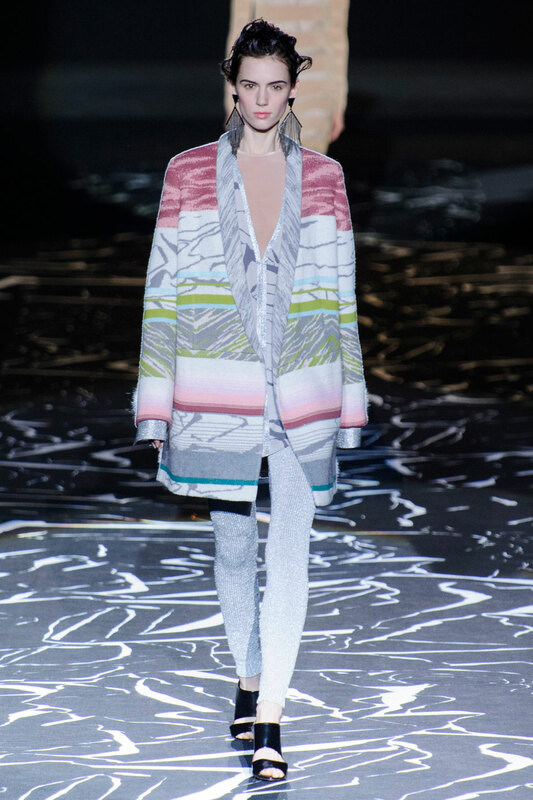 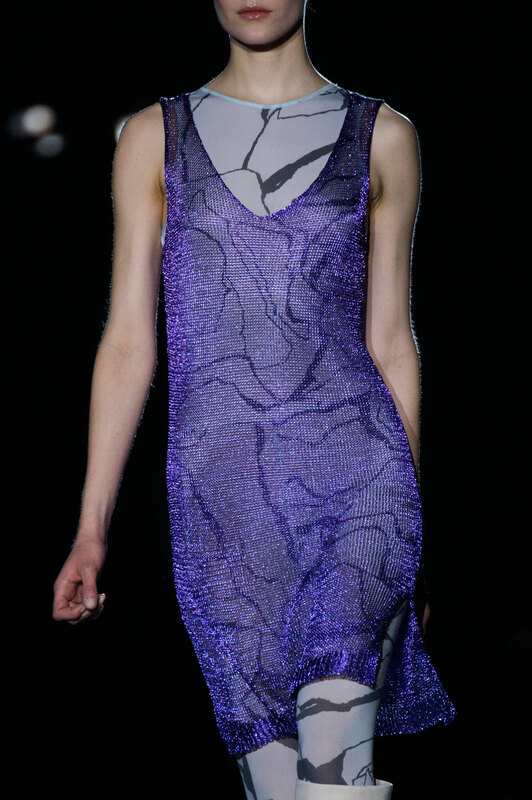 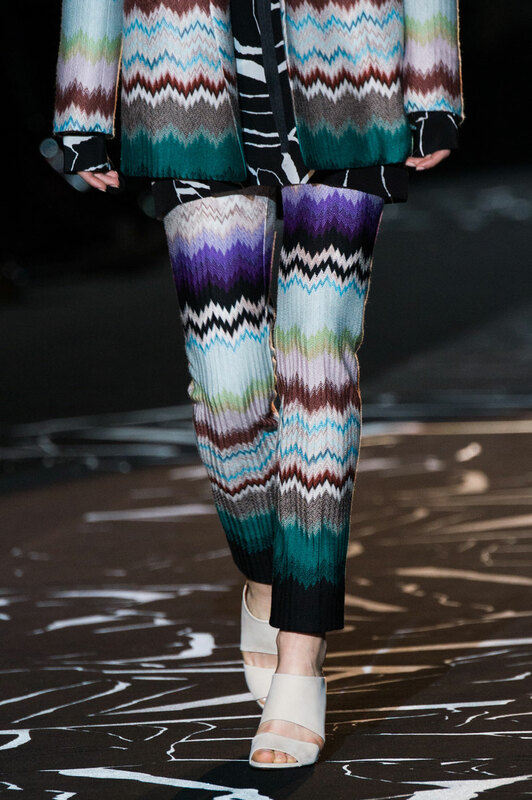 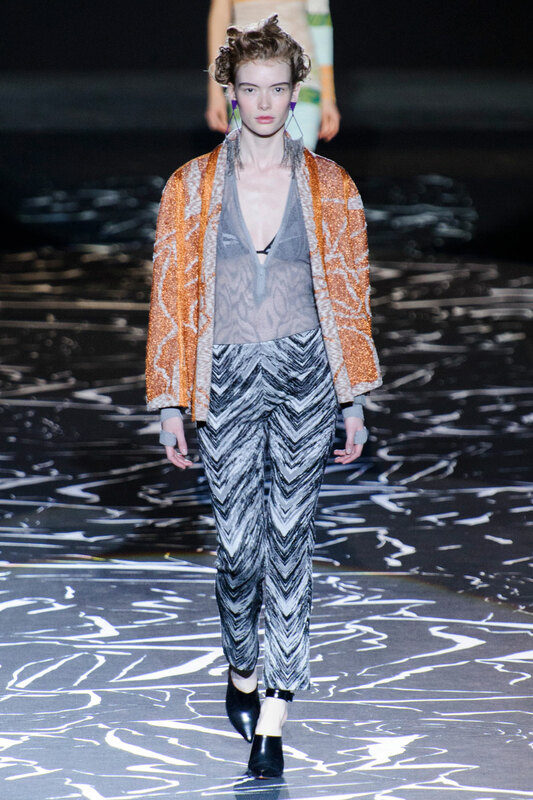 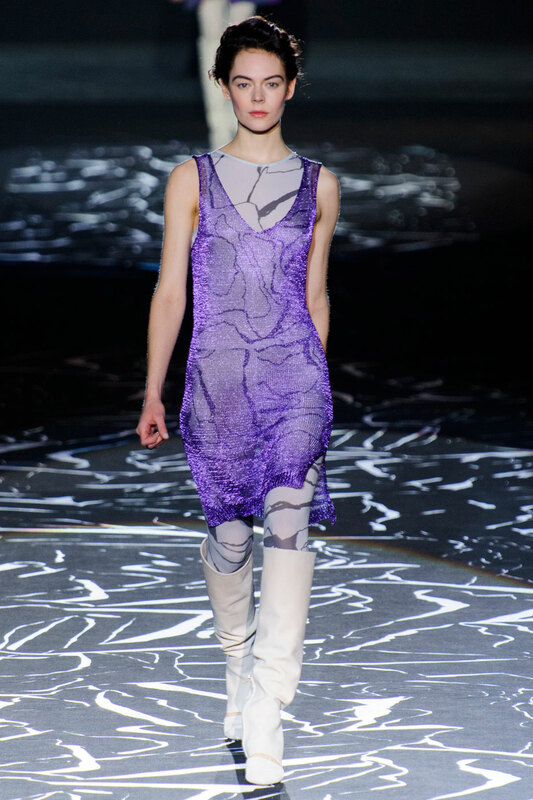 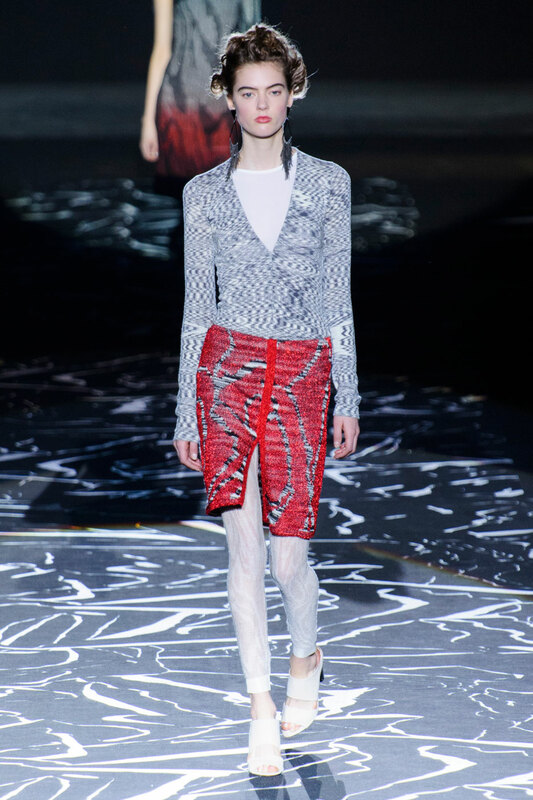 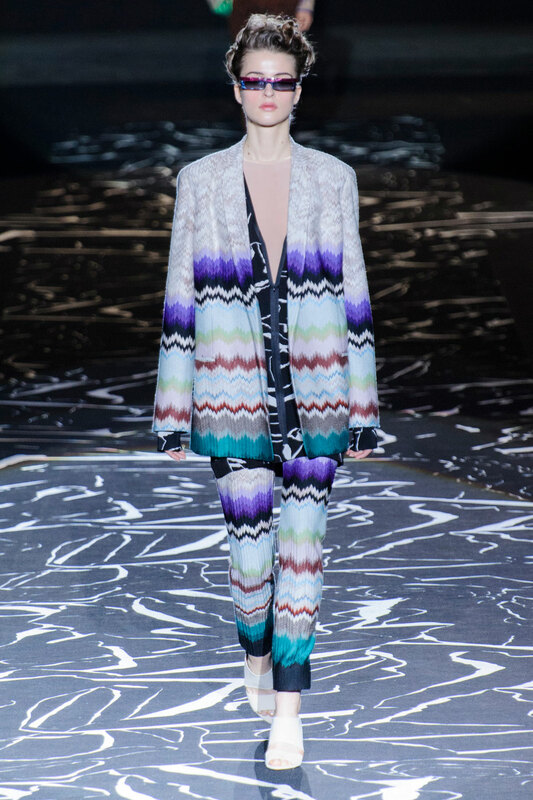 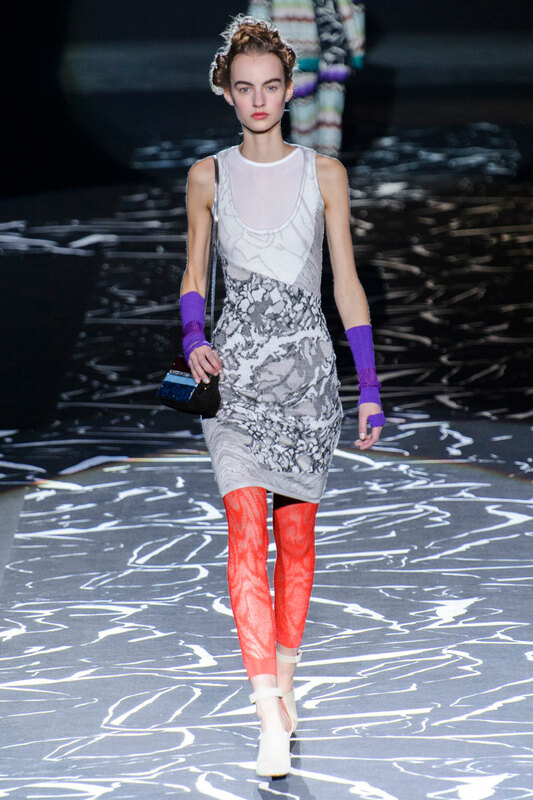 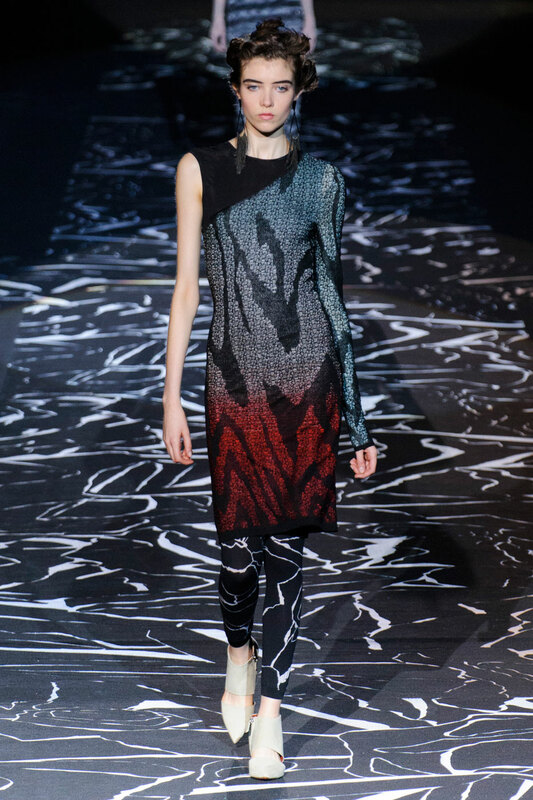 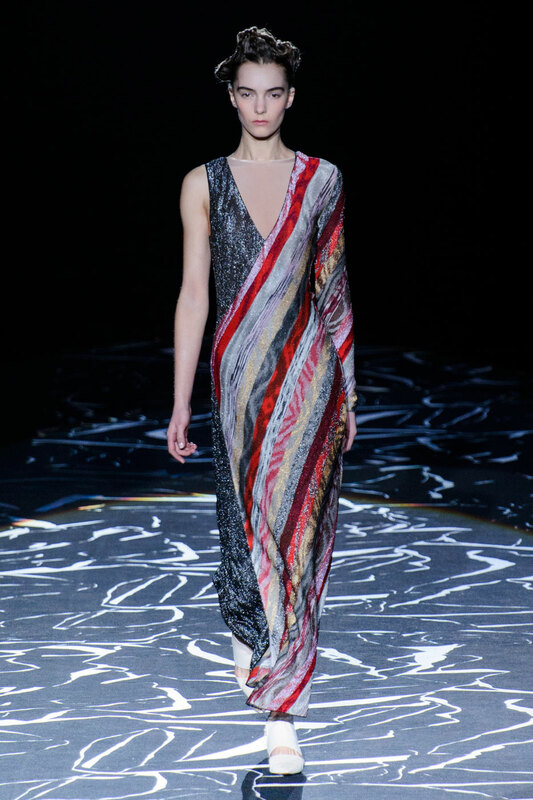 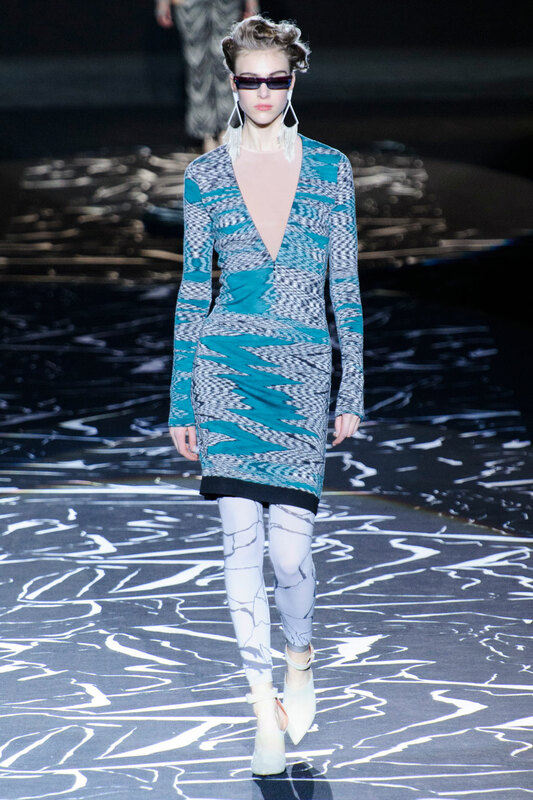 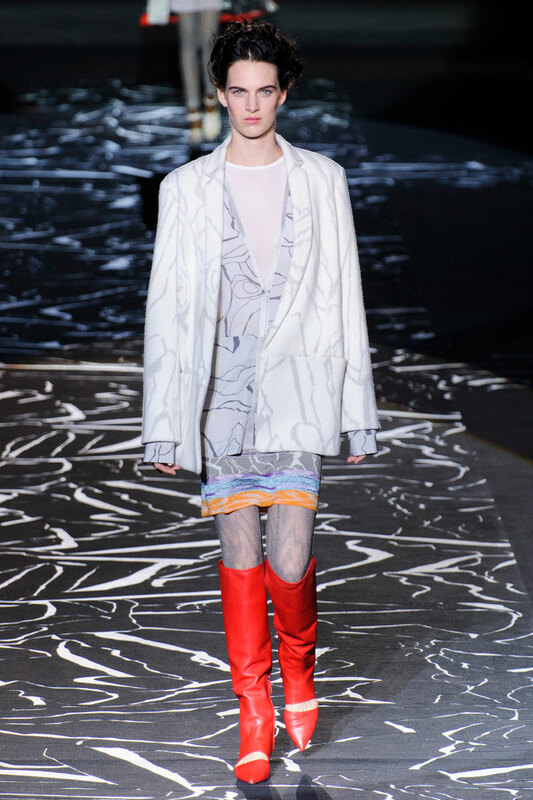 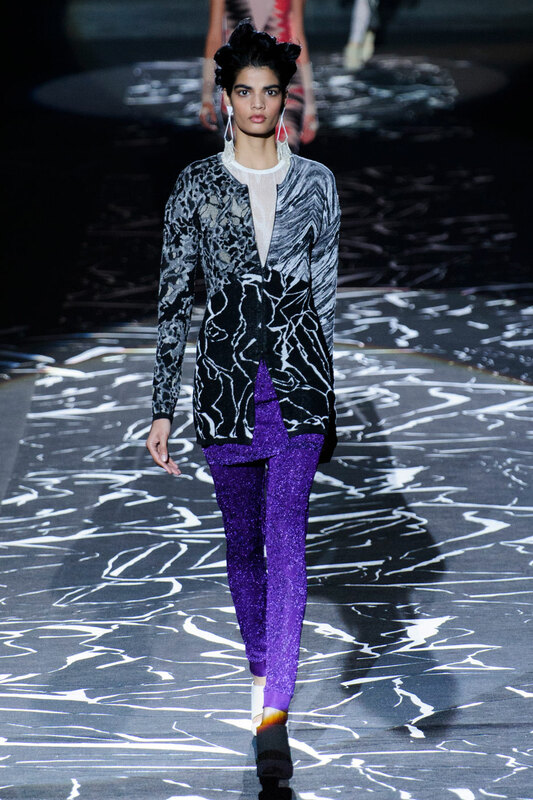 Missoni Women Autumn-Winter 2015 - Missoni AW15 is all about the eccentric marble pattern. 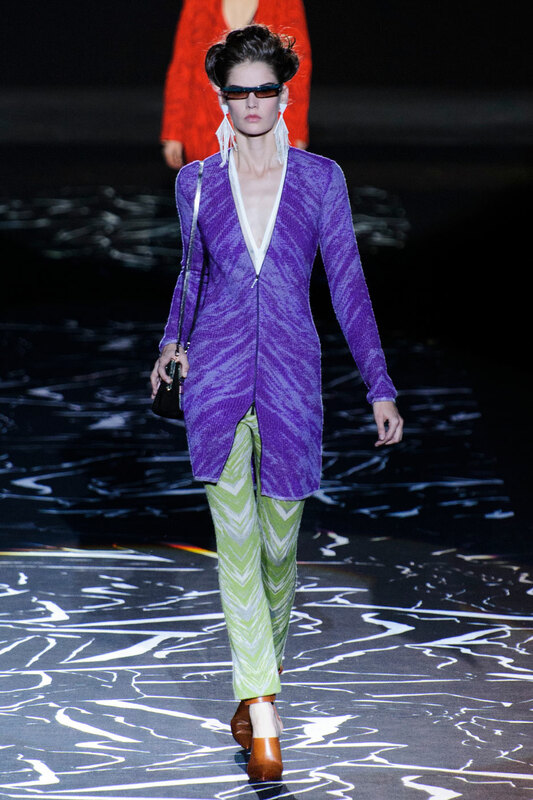 The 90’s vibe was presented on the catwalk today through more fragile, loosely cut structures in bold yet sophisticated brights. 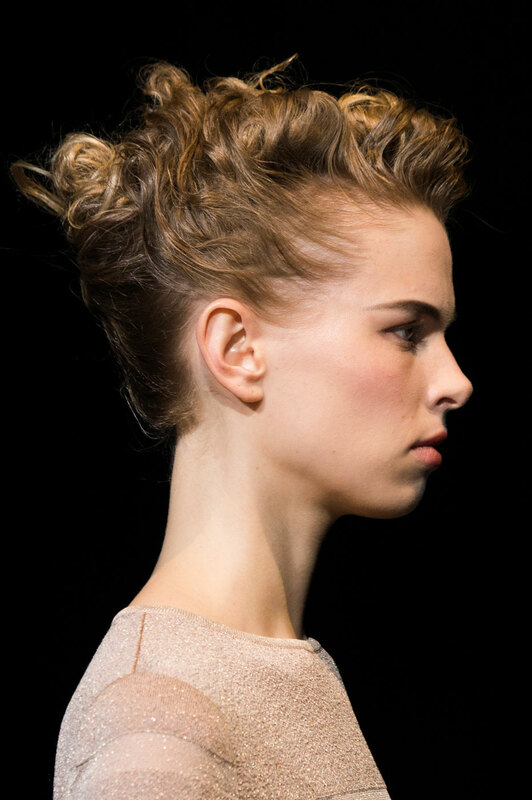 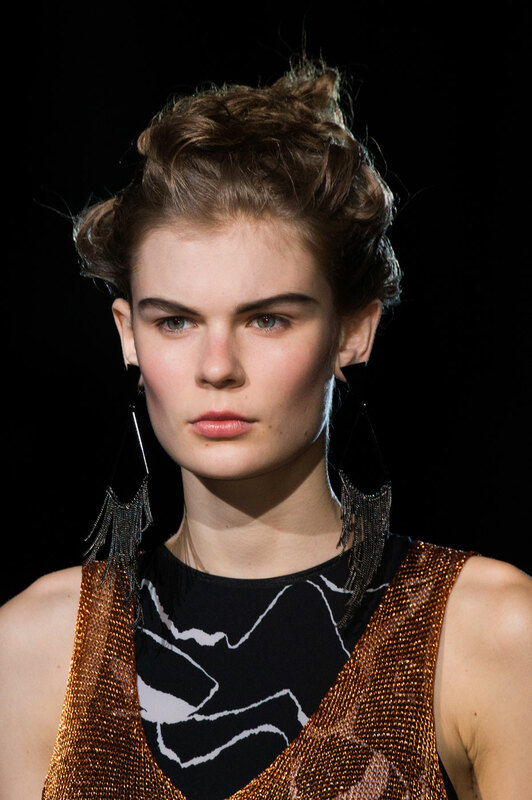 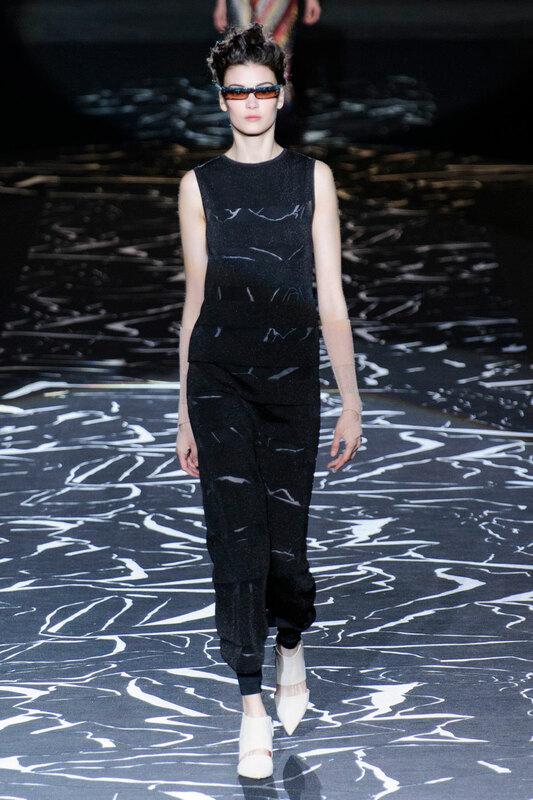 The collection promoted a very abstract, contemporary edge to classic cuts and designs. 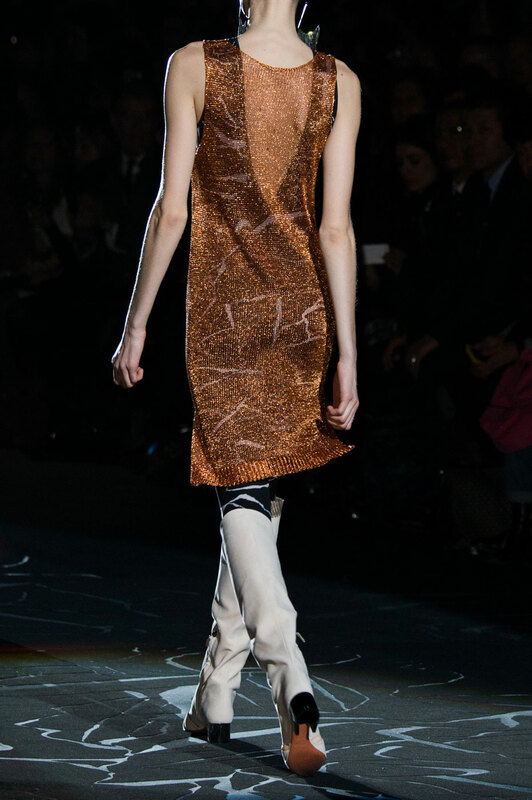 The harder cut jackets were somewhat masculine, promoting wider shoulders. 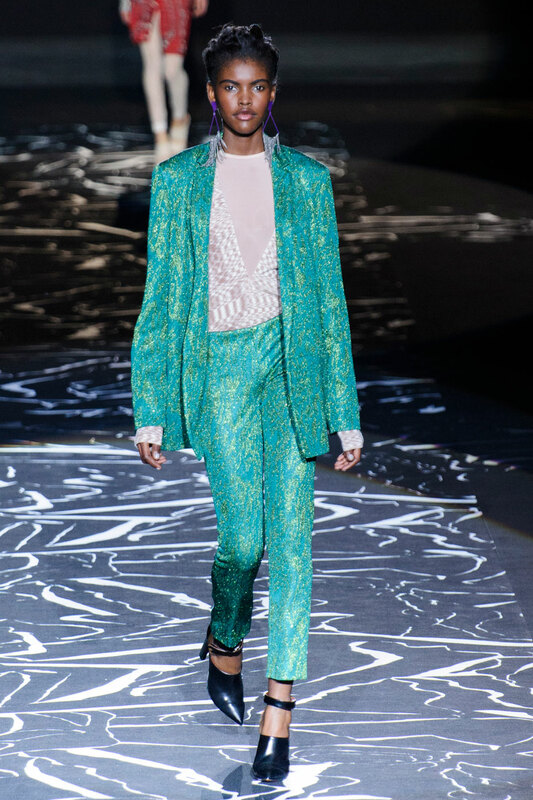 However, these sharper pieces were styled over lighter, delicately flowing tops all in either contrasting colours or designs. 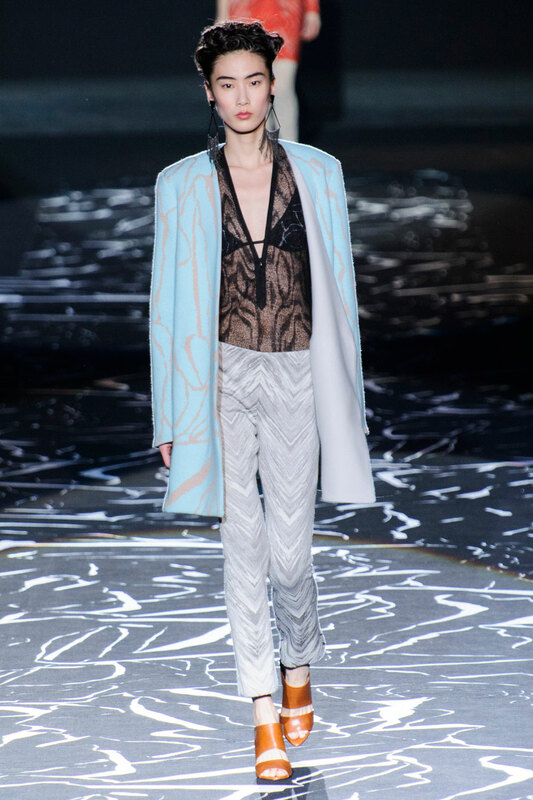 These shapes were all elegant and flattering embracing femininity, complimented also by pastel tones and gorgeous fine materials. 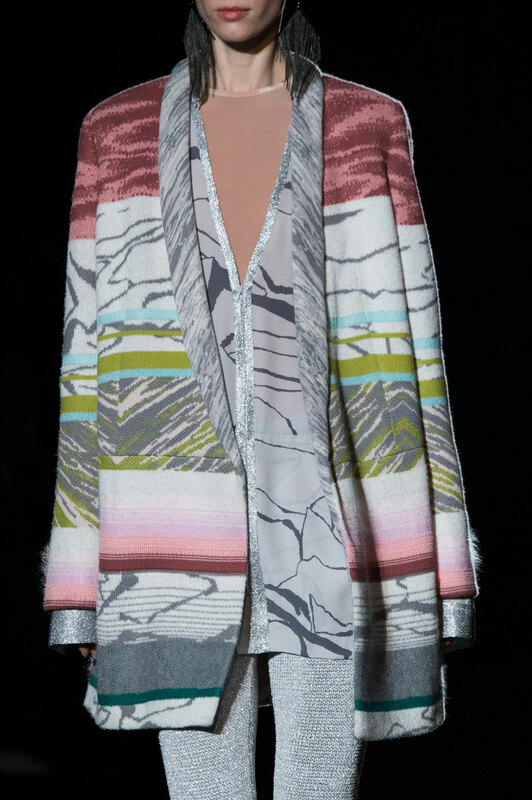 Deep v cuts in sheer textures gave us a sneak peak of the more casual bikini style bra Missoni are promoting this season, somewhat introducing a beachy vibe. 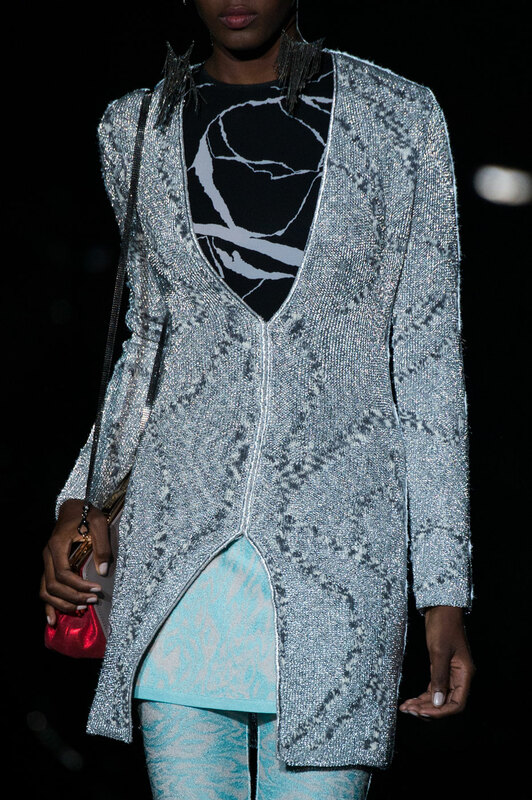 Defined oval cuts over the chest were an exquisite touch to more elegant dress designs, whilst also adding a contemporary feature to louder looks. 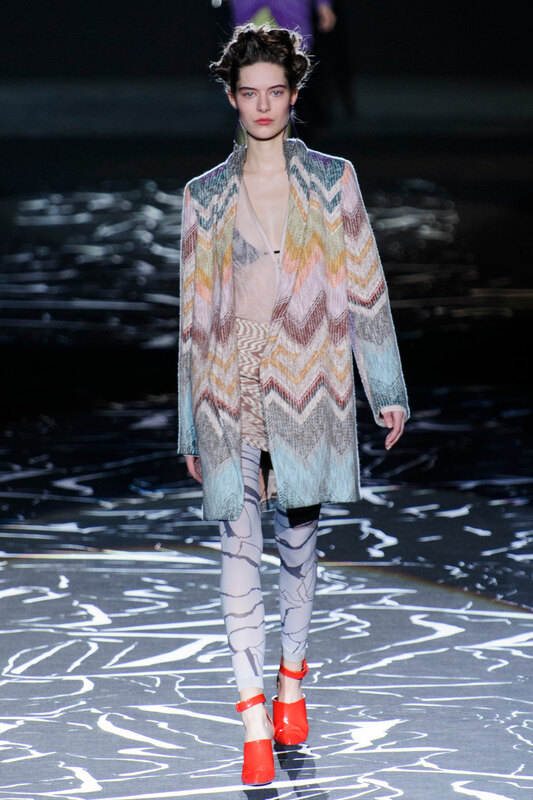 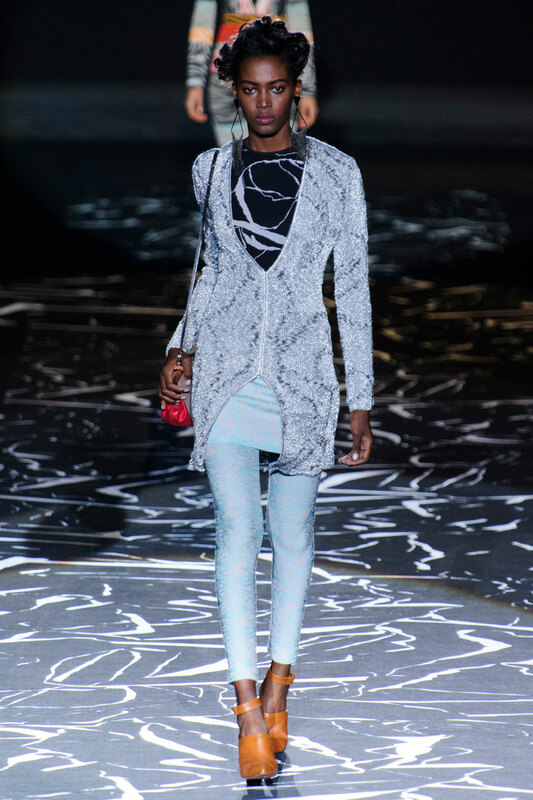 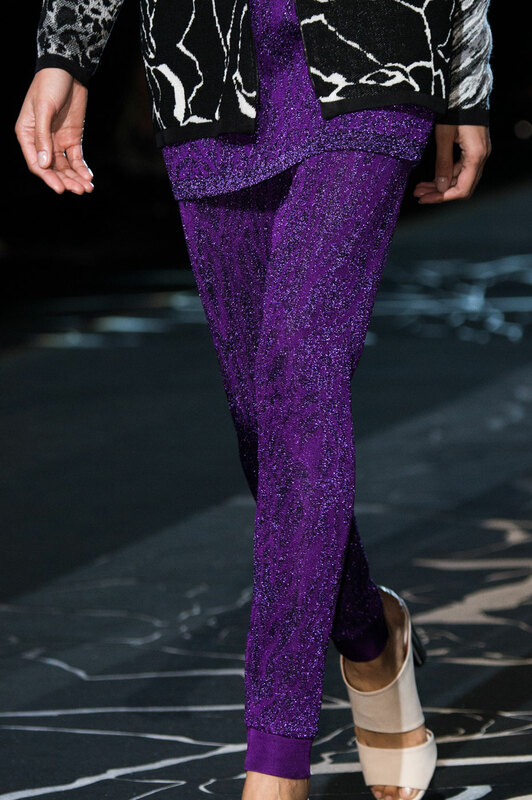 It was a presentati0n of expression this season at Missoni, from a magnificently abstract and somewhat wacky perspective.